Last week you told you mark your calendars for an epic event. The epic event in question was two years in the making and it was the first ever giant robot fight. The teams in question hailed from America and Japan. The American robot was built by Megabots and was called the Eagle Prime. The Japanese faced this behemoth with Kuratas that was built by Suidobashi Heavy Industries. The fight was streamed on Twitch on where over twenty two thousand people watched it live and once the fight was over it was put up on YouTube where it has managed to become a viral hit with over 2.7 million views. Once the video went viral people started to catch up on some anomalies and some started calling it fake. Once this rumour caught on, the press wanted answers from the fight’s promoters and the answer they got was shocking. Motherboard caught up to MegaBots co-founder Matt Oehrlein regarding allegations of a staged fight and Matt informed them that the fight was not at all live. The fight which was supposed to be live was shot over several days and they had to cut in between for extensive repairs to both of the giant robots. The fight’s promoters wanted to make the fight as entertaining as possible and they assured Motherboard that the action was real. This brings to mind how as kids we used to believe that WWE was real and once we aged we caught on to the deception. If you took just over twenty minutes time from your busy schedule to watch this video above you might find it entertaining and that was the point of the whole shebang. Nevertheless people across the world felt cheated because they wanted to see an actual live fight. Mind you WWE still airs live across many countries. 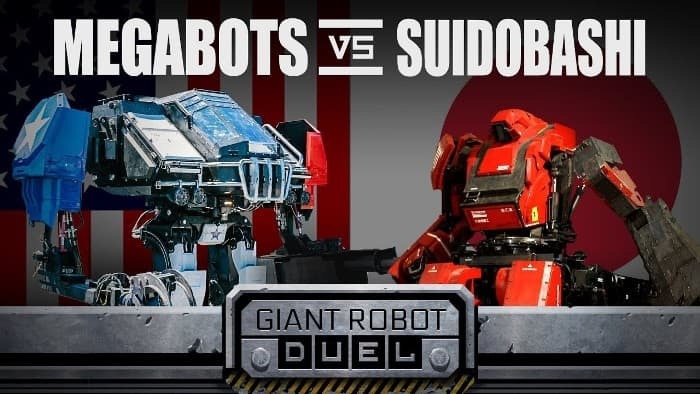 People caught the lies once they watched the culmination of the fight where, [SPOILER ALERT], the robots tipped some scaffolding into the ‘judges’ table and the fight was called in favour of the American MegaBots. At the end of the day this was just another attempt at creating a fake viral video, one that was impressive nonetheless.